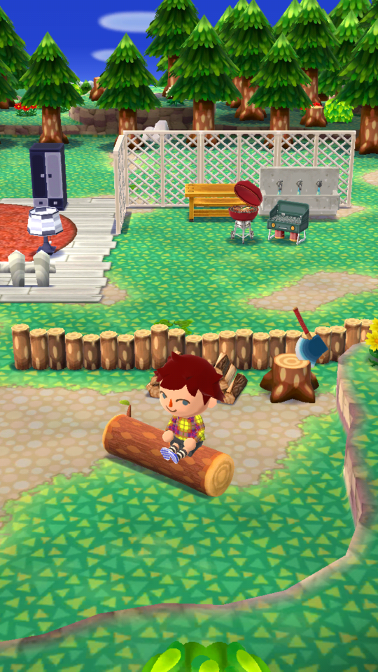 The story is pretty minimalistic, as is a lot of the openings of most Animal Crossing games. 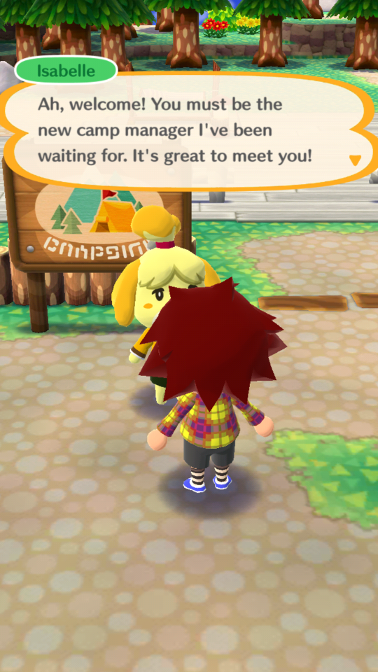 You are settling down to start making your own camp, when you’re told you’re going to be in charge of the camp by Isabelle. 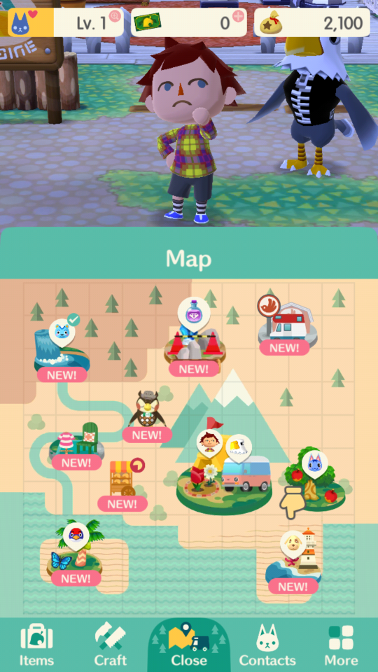 She shows you the ropes and how to make your camp as attractive as possible, then tells you to go out there and invite others to visit your camp. The rest is up to you. I told you it was minimalistic. The rest is about you fulfilling tasks as and when you see fit. 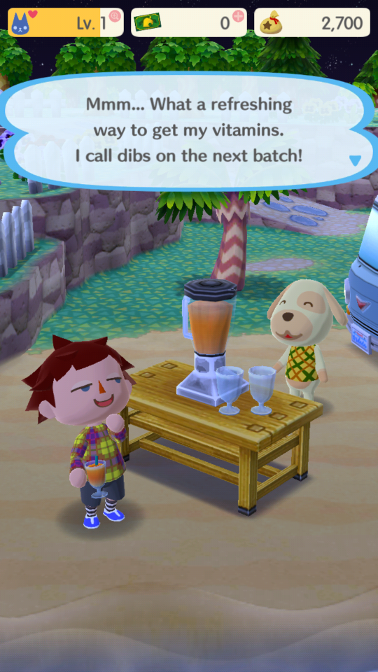 Animal Crossing is adorable, that I doubt has ever been in dispute. 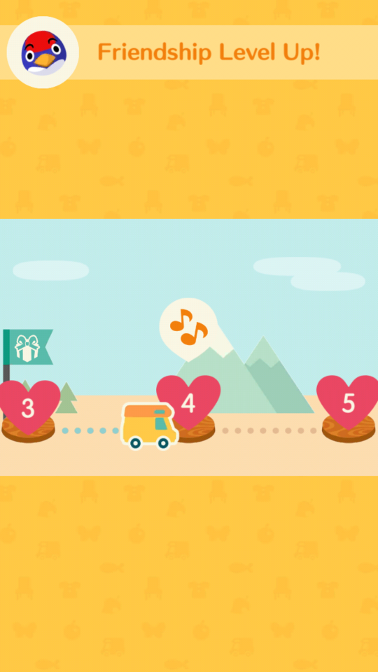 As such, the game wants you to be able to create your own equally adorable camp, by giving you facilities to include items, which are fairly simple to create. 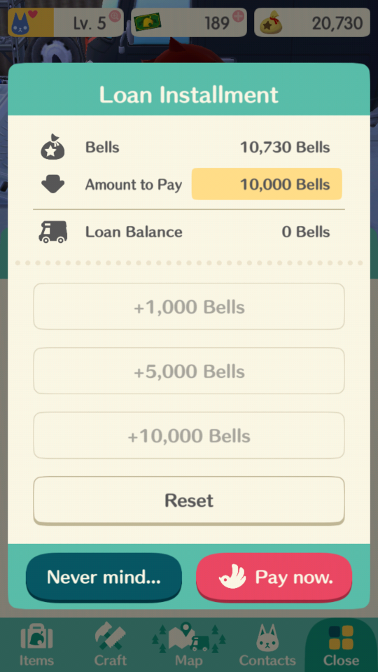 You meet a character who can make items for you, so long as you have some Bells (the in-game currency) and the materials needed to make the item. 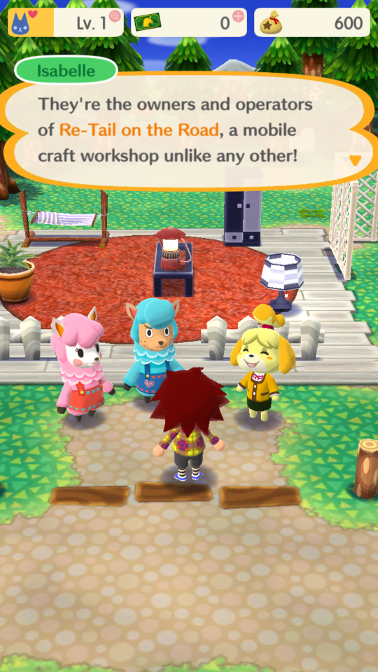 You can call this craft shop from anywhere and on a timer, they’ll make your item/s. There’s a second currency in Leaf Tickets, which you acquire from doing actions and sometimes just randomly. They’re not as easy to get as Bells, but it’s still simple enough. 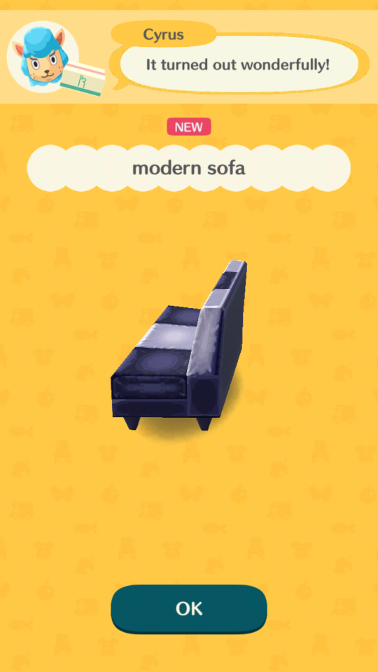 You can use Leaf Tickets to speed up building something, or to build something without paying it’s material cost. 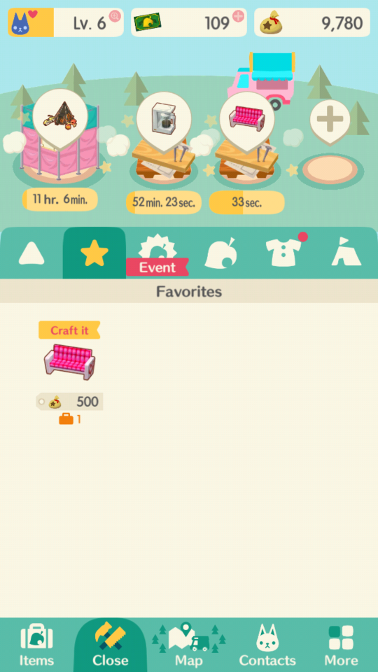 Alternatively, you can even spend Leaf Tickets on getting extra slots in the craft store – Which is kind of a must. 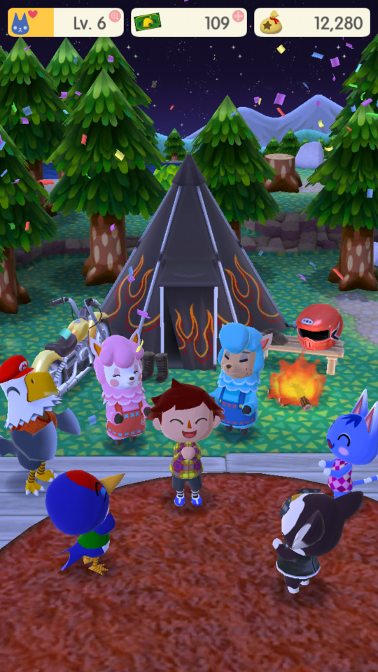 You can decide who comes to your camp by decorating it to their tastes, then they sort of aimlessly float around in your camp, enjoying life as much as they can by chilling out with you. 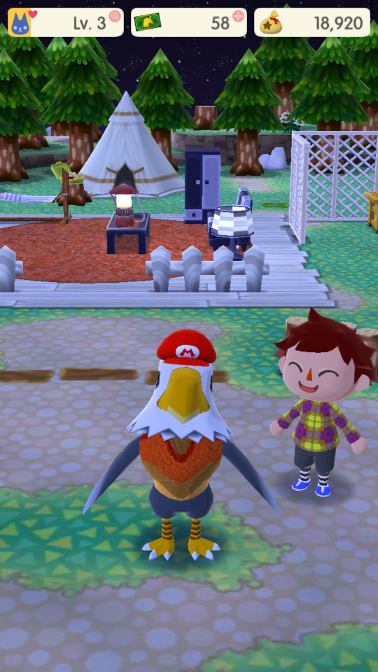 Whilst I enjoy the idea that you can invite people to your own little haven, it’s a little awkward, as there’s only one tent… And everyone sorta stays there, sleeping on your sofas and swings. It’s a bit odd. You can go fishing, or bug catching. 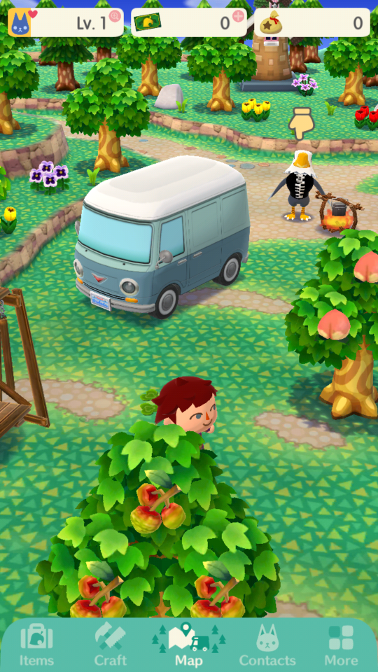 You can collect fruit or shells. You can do a lot of little tasks, such as talking to the various animals around the place, or you can spend your time decorating. That’s basically the crux of the game. 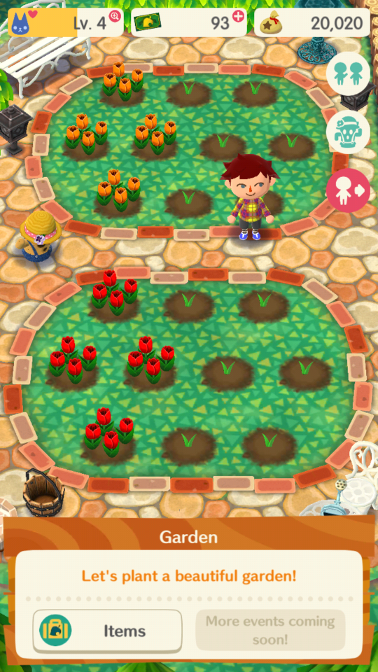 There’s also a garden which you can make look good, or visit other peoples camps, cross-pollinate to get “rare” seeds and so on. 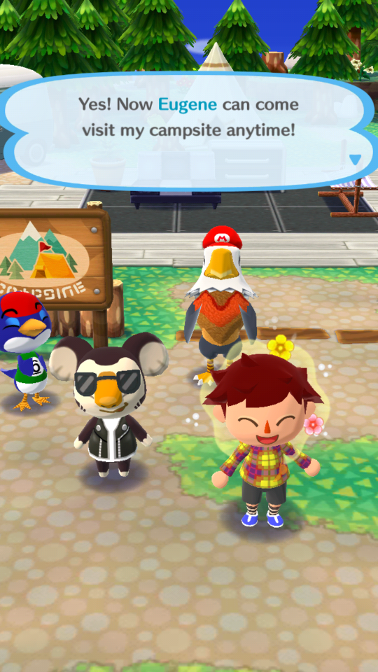 You can also get clothes for your character and the various animals that are good friends with you. All of the animals have varying pitches, making a gibberish noise as they talk. 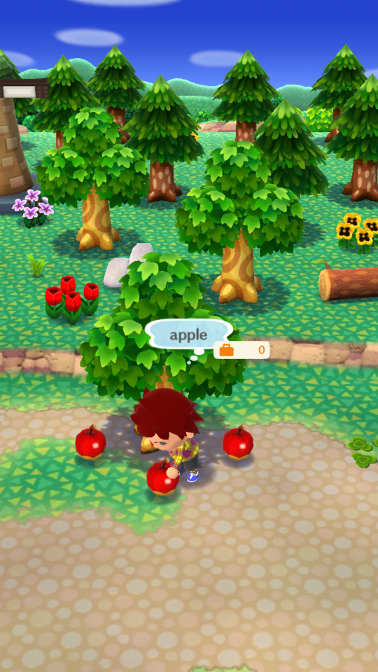 It’s simple and easy to listen to, reminding me of the older Animal Crossing games. Furthermore, the soundtrack is thoroughly pleasant. You’ll never feel tired of listening to the soundtrack, however it definitely doesn’t leave a lasting impression on you like some games do. It’s there, it’s nice and it’s calm. Actually, I wanted to like this a lot more than I did. 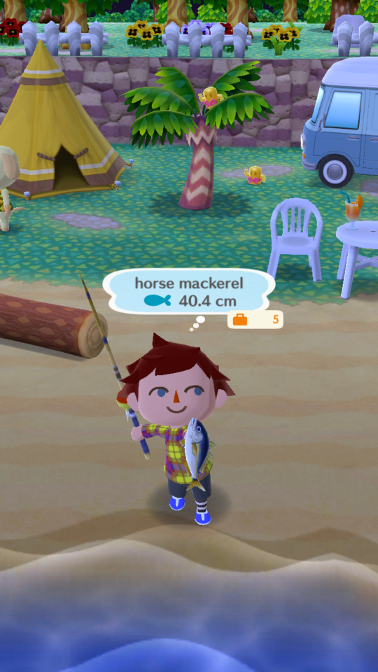 However, Animal Crossing: Pocket Camp feels like a blatant money-grab. If you want something cute to pick up, then it is cute and it is free with no adverts, which is a huge plus… However it doesn’t, to me, have a lot of staying power. 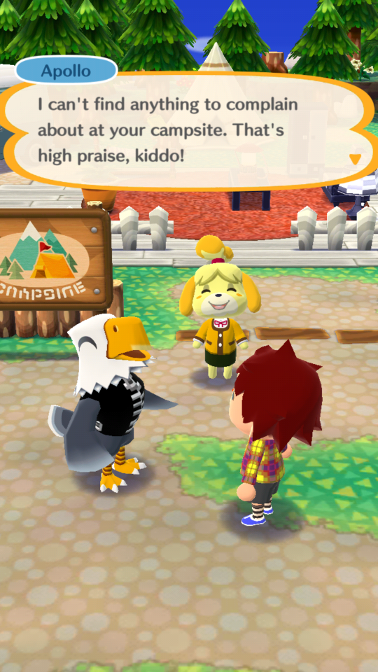 You’re never challenged, never pushed – and I know that’s probably good enough for a lot of Animal Crossing fans. I’d like to say you should get it, but I think even fans of the ultra cutesy style would get fed up of it. It’s a fun little diversion, but I’d hesitate to say you’d be kept interested for long. But perhaps I’m wrong – Perhaps you think this is a great mobile title? 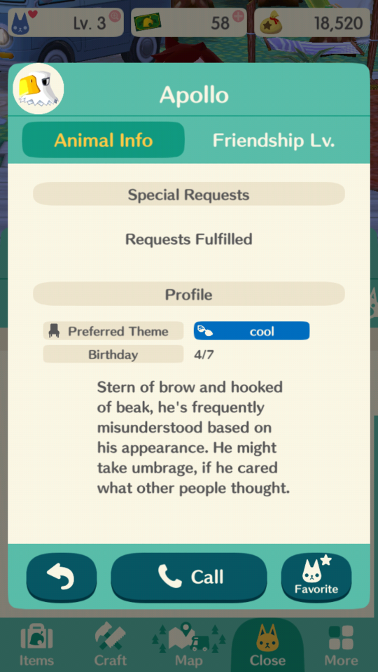 Perhaps you think I’ve overlooked an important feature? As ever, share your thoughts in the comments below, or over on Facebook and Twitter. Ain’t gonna lie though, it’s damn cute. 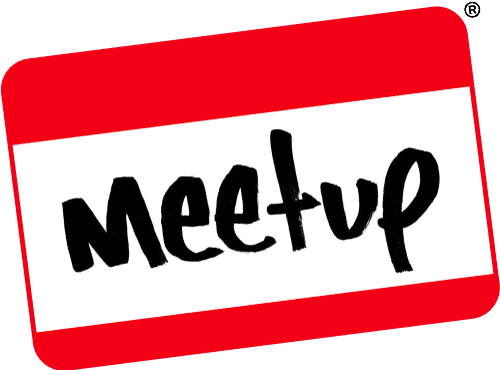 This entry was posted on April 3, 2019 by Timlah. 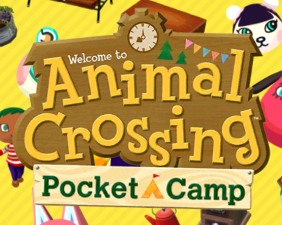 It was filed under Gaming posts, Reviews, Video Games and was tagged with android, Animal Crossing, iOS, Isabelle Animal Crossing, Pocket Camp, Social Simulation.